The Casey community gathered to remember those who were affected by the Black Saturday bushfires on Saturday. 190008_07. 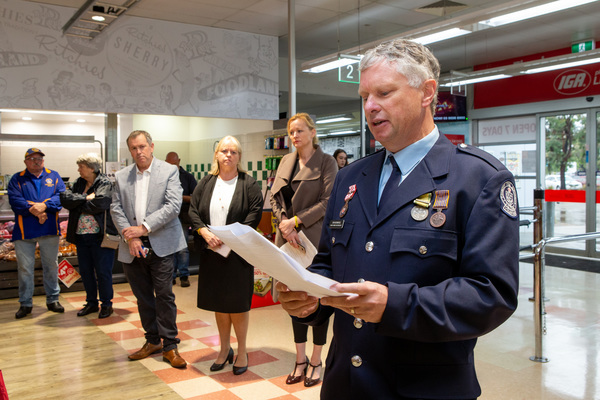 A moving ceremony marking a decade since the Black Saturday bushfires was held in Narre Warren South on Saturday, February 9. Members of the community, volunteer CFA members, community groups including the Endeavour Hills Lions Club and Hampton Park Community House, City of Casey councillors including Mayor Amanda Stapledon, Cr Rosalie Crestani and Rex Flannery, and those affected by the Black Saturday fires attended to reflect on the 10 years of rebuilding and recovering from one of the worst fires in Australian history. 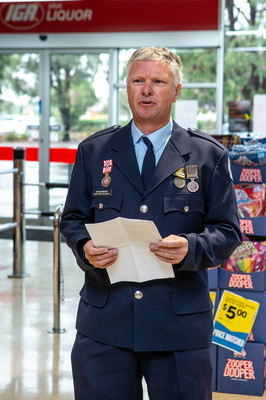 Thanks to organisers Carol and Andrew Miszkowiec, Mark Dickinson and Wendy Linsen, the event raised $35,000 on the day and more than $47,000 when the fundraising concluded. 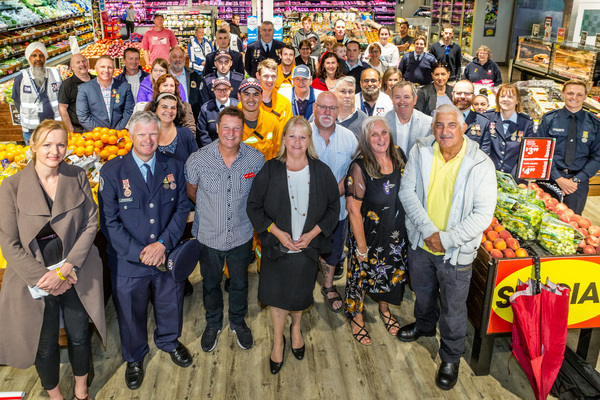 The group gathered inside Narre Warren South IGA due to weather conditions before signing and attaching yellow ribbons beside the memorial tree that was planted in memory of all that was lost on that day. Mrs Miszkowiec said the memorial was very moving for her, Mr Miskowiec, their family and their close friends that came. “Listening to everyone’s recount of the day was quite emotional for us,” she said. “I read my poem certainly struggling to get through it as the poem reflected the last 10 years of our lives. City of Casey Mayor Amanda Stapledon reflected on Black Saturday in her speech during the ceremony. “Declared as one of Australia’s worst natural disasters in history, the ongoing impact is still visible today 10 years on, and this day will continue to be one of the darkest days for Australians and our country,” Ms Stapledon said. “Australia and its people are hardy; we are tough, strong and resilient. Australia is not immune to bushfires and other emergency events; we have experienced our fair share of these and will continue to keep experiencing these events into the future. Ms Stapledon thanked everyone who attended. “From these darkest days, 10 years ago, we continue to hear of the heroic efforts complete strangers undertook to save the lives of others,” she said. “If it wasn’t for these individuals, I believe that many more lives would have been lost during this disaster. 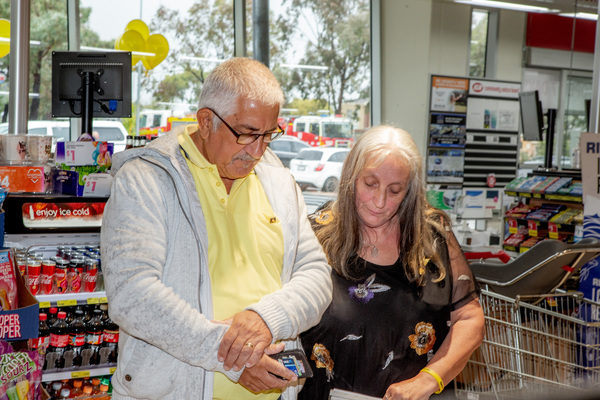 Hampton Park Community House representative Tania Sacco said not many people know about the many people in the Narre Warren area that lost their homes. “The rain on the day was an ironic reminder that our weather can indeed be fickle,” Ms Sacco said.